With the announcement of the new iPhone, the new iOS update is here - iOS 11. 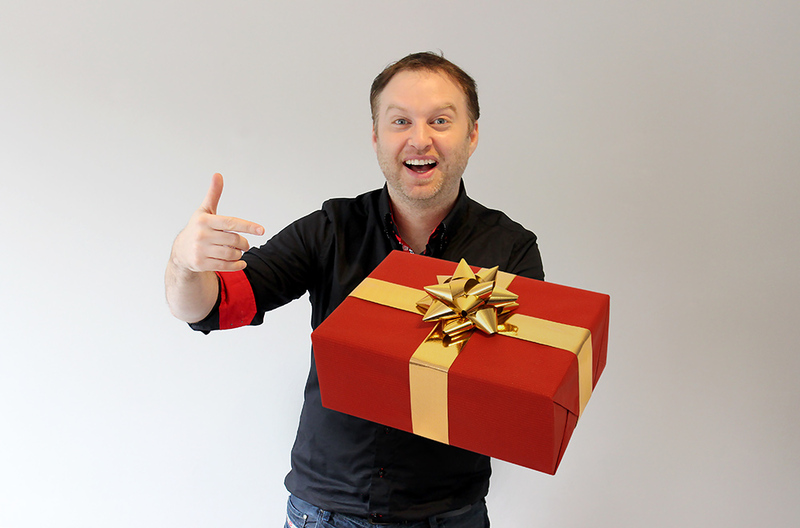 The new update boasts lots of cool new features including Screen Recording and a customisable Control Center. With lots of articles revealing the 'secret' and 'hidden' features of the update, we'd like to focus on just one, which looks to be pretty useful, with the potential to make a difference. We've previously covered topics surrounding the area of mobile-phone use whilst driving, including some shocking statistics and dangerous trends, potentially prompted by our addiction to social media and features like the speed photo-filter available on Snapchat. Many also use their mobile phones for the Maps feature which is extremely handy and eliminates the need to fork out on a seperate device, however with notifications coming through while in your view, distractions - and accidents - can quickly occur. With road safety becoming increasingly important and rules getting tougher (rightly so) surrounding the use of mobile phones when behind the wheel, Apple have introduced a way to minimize distraction and temptation when driving. On the iPhone (and other Apple devices), the Do Not Disturb feature has been around for a while, and comes in handy when sleeping, busy or working. 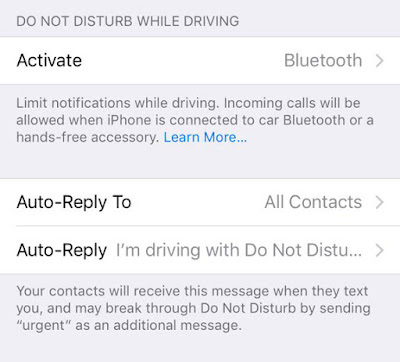 The new iOS update has introduced an extension of the feature; the 'Do Not Disturb While Driving' feature is accessible via the Do Not Disturb section on settings, and is customisable from there too. Take a look. You can set the feature to be activated Automatically, - when your device picks up you're traveling at speed - through Bluetooth - when connected to your car - or Manually - leaving you to switch it on yourself before setting off on your journey. The Automatic option is great if you're the driver a majority of the time, but if you're a passenger a lot it may become irritating having to turn it off on journeys, so be sure to set it to suit you best. 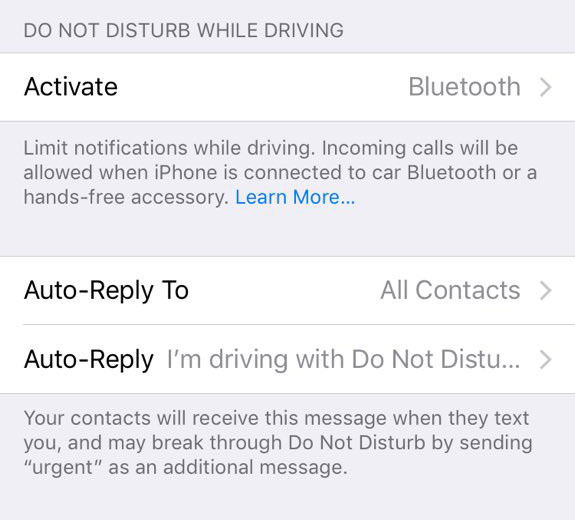 The Auto-Reply option is also great; anyone who sends you a text when you're driving can recieve a customisable reply letting them know that you're unavailable. If you're normally quick at replies, this means you won't leave your mates hanging if you don't reply for a while, so you won't have to worry about anyone thinking you're ignoring them etc. 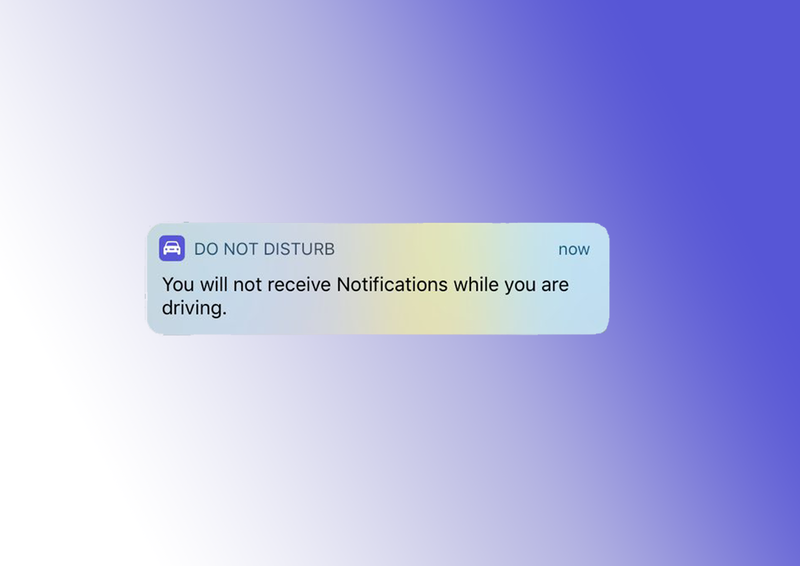 Like the normal Do Not Disturb feature, any notifications you receive won't flash up when you're driving and the screen will stay blank, meaning the temptation to take your eyes off the road will be gone. Only if a message includes the word 'Urgent' will it come through, in the case of emergencies. Additionally, if you do choose to set the feature to Manual, you now have the option to add the mode to your Control Center, which will make it easier to access and hopefully prompt iPhone owners to make use of the feature. This new feature has the potential to massively increase road safety concerning mobile phone use - what are your thoughts?